Bottle Coatings is a division of Los Angeles-based Sundial Powder Coatings, an innovative powder coating company that has introduced a number of industry-leading technologies. Our knowledge and understanding of powder coating led us to believe we could solve the problem of UV nail gel curing prematurely inside the bottle from light penetration. Utilizing special methods, we were able to create an adhesive bond between the powder and glass…no small feat, considering there is no natural electrostatic attraction there. The unique process that we have developed ensures precise coverage for full protection, while also eliminating concerns about streaking or uneven distribution that causes unbalanced bottle weight. We use a highly chemical-resistant form of powder that is unaffected by aggressive nail polish chemicals. 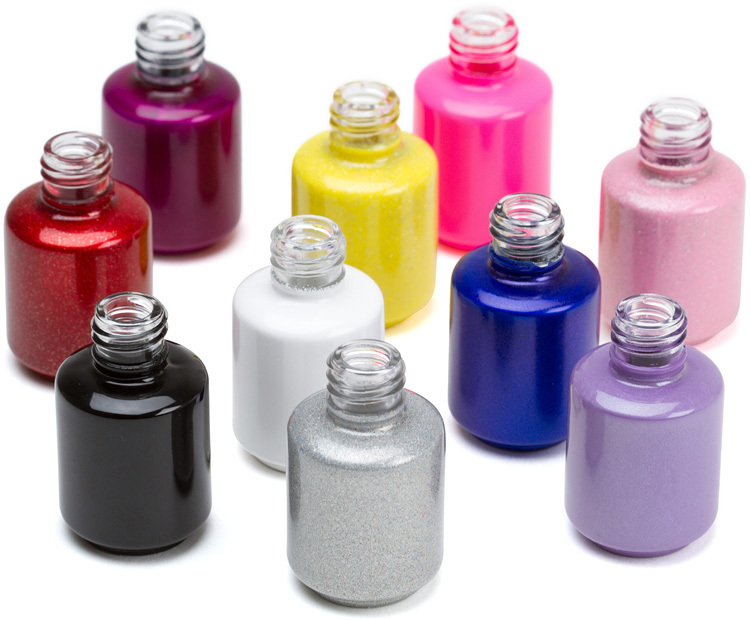 Through our precise color matching technique, Bottle Coatings can virtually replicate the color of the polish inside the bottles. This gives the impression of the actual polish appearing through a transparent container, making it easy for consumers to know the color they are choosing. Powder coating, on the whole, offers a greater shelf life than liquid coatings, works more reliably and, because of the technique used, preserves the original diameter of the bottle neck threads. Because powder coating is an eco-friendly solution, nail polish manufacturers can also tout this environmentally safe process for their industry. It is Bottle Coatings’ goal to provide innovative business solutions that also lead to a healthier environment.